In King v. Burwell, the Supreme Court today upheld a key provision of the Patient Protection and Affordable Care Act (“ACA”). What is the effect of this decision on employee benefit plans? What did the Supreme Court decision say? It requires insurance companies to insure anyone, regardless of health status (“guaranteed issue”) and to charge a premium that could not take into account any health conditions the individual had (“community rating”). It generally requires individuals either to maintain health insurance coverage or to make a tax payment to the IRS, unless the cost of buying insurance would exceed eight percent of that individual’s income. It requires the creation of an “Exchange”—a marketplace that allows people to compare and purchase insurance plans—in each state. To the extent that a state declines to set up an Exchange, the federal government sets up one for the state. The King v. Burwell case dealt with the second and fourth of these requirements. The plaintiffs were individuals whose health insurance premiums would have been greater than eight percent of their income in the absence of the tax credit, but less than eight percent of their income if the credit was available. They lived in Virginia, which had declined to set up a state Exchange, and was therefore covered by a federal Exchange. They argued that the tax credit was unavailable because their Exchange was not established by a state. Under that argument, they would not be required either to purchase health insurance or to make the tax payment to the IRS. The Supreme Court rejected this argument. It held that although the statutory language referred to “an Exchange established by the State,” that language was ambiguous inasmuch as it also stated that if a State chooses not to establish an Exchange, the Act tells the Secretary of Health and Human Services to establish “such Exchange.” Thus, it was unclear whether the tax credit applied only to Exchanges set up by a state, or whether an Exchange set up by the federal government would be considered an Exchange established by the state for this purpose. When language is ambiguous, a court must interpret it in light of the overall legislation and the legislative history. The Supreme Court followed this analysis in determining that “an Exchange established by a State” should include an Exchange established on behalf of a state by the federal government. Thus, the taxpayers were eligible for the tax credit, which brought the cost of health insurance below eight percent of their incomes. In turn, this meant that they were subject to the requirement either to purchase health insurance or to pay a tax. What is the effect on employers? By its terms, the Supreme Court decision affected only individuals. However, another provision of the ACA applies to employers. Called “Employer Shared Responsibility,” it imposes a tax on an applicable large employer (in general, an employer with at least the equivalent of 50 full-time employees) that does not offer a minimum level of affordable health insurance to its employees and their dependents. An applicable large employer is subject to an Employer Shared Responsibility payment beginning in 2015 if at least one of its full-time employees receives a premium tax credit. Only 24 states have set up their own Exchanges. In the other 26, the Exchange has been set up by the federal government. If the Supreme Court had held that the premium tax credit did not apply to employees in states with Exchanges set up by the federal government, an employer that had employees only in such states would not have been subject to the Employer Shared Responsibility provisions. 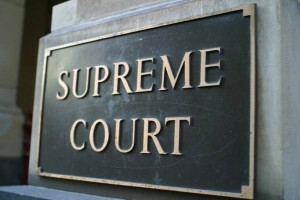 Given the Supreme Court’s decision that premium tax credits are available in all states, not just those in which the state has set up an Exchange, applicable large employers will be subject to the Employer Shared Responsibility provisions regardless of the state in which their employees live. Thus, it is important for such employers to make decisions concerning the health insurance to be offered to employees if they are to avoid the tax. 1. The original intent was that individuals with income below this amount would be covered without cost by an expanded Medicaid program which the states would be required to provide, but which would be heavily subsidized by the federal government. However, last year the Supreme Court struck down the requirement that states provide for Medicaid expansion. The original intent was that individuals with income below this amount would be covered without cost by an expanded Medicaid program which the states would be required to provide, but which would be heavily subsidized by the federal government. However, last year the Supreme Court struck down the requirement that states provide for Medicaid expansion.